The future of the silicon-based economy will not be as pessimistic as some commentators have argued, given their predictions of the end of Moore's Law Economy (ME) by the early 2020s. On the contrary, a Virtual Moore's Law Economy (VME) will develop and thrive, advancing innovation by a new Silicon Way of producing various application-driven Heterogeneous Integrated (HI) Nano-systems by optimization of physics, materials, devices, circuits/chips, software and systems to enable exciting applications for business growth. The semiconductor industry will enjoy sufficient financial returns from new application and system-product sales, even considering more expensive silicon investment. Such a technological approach based on a (Function × Value)-Scaling Down-Plus-Up Methodology, in addition to Linear- Scaling, Area-Scaling and Volumetric-Scaling Methodologies, can fundamentally change the way of thinking and execution toward optimizing coherently both technology definition and final system design with an holistic HIDAS (HI Design/Architecture/System) method. This will drive IC scaling to an effective 1-Nanometer Realm, stimulating a thriving silicon industry which can have at least 30 more years of growth toward a 1 trillion-dollar size. As a researcher, design architect, entrepreneur and chief executive, Dr. Lu has dedicated his career to the worldwide IC design and semiconductor industry. He serves as Chairman of TSIA (Taiwan Semiconductor Industry Association), Chairman of Asia-Pacific Leadership Council for GSA (Global Semiconductor Alliance), and was Chairman of the Board Director of GSA (2009 to 2011) and Chairman of WSC (World Semiconductor Council) from 2014 to 2015. Dr. Lu received his B.S. in Electrical Engineering from the National Taiwan University and M.S. and Ph.D. in EE from Stanford University. 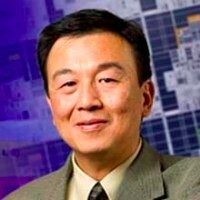 Dr. Lu worked for the IBM Research Division and then the Headquarters from 1982 to 1990 and won numerous IBM recognition awards, including an IBM Corporate Award. He is an IEEE Fellow, the recipient of the IEEE 1998 Solid-States Circuits Award, and a member of NAE (National Academy of Engineering of USA). He is an Outstanding Alumnus of National Taiwan University, and a Chair Professor and an Outstanding Alumnus of National Chiao Tung University. For decades, Moore's Law dimensional scaling has been the fuel that propelled the computing industry forward, by delivering performance, power and cost advantages with each new generation of silicon. Today, these scaling benefits are slowing to a crawl. If the computing industry wants to continue to make scalability the primary source of value in tomorrow's computing systems, we will have to quickly find new and productive ways to scale future systems. In this talk, I will highlight my work and the work of others that is rejuvenating scaling through the application of heterogeneous parallel designs. Leveraging these technologies to solve the scaling problem will be a significant challenge, as future scalability success will ultimately be less about "how" to do it and more about "how much" will it cost. Todd Austin is a Professor of Electrical Engineering and Computer Science at the University of Michigan in Ann Arbor. His research interests include computer architecture, robust and secure system design, hardware and software verification, and performance analysis tools and techniques. Currently Todd is director of C-FAR, the Center for Future Architectures Research, a multi-university SRC/DARPA funded center that is seeking technologies to scale the performance and efficiency of future computing systems. Prior to joining academia, Todd was a Senior Computer Architect in Intel's Microcomputer Research Labs, a product-oriented research laboratory in Hillsboro, Oregon. Todd is the first to take credit (but the last to accept blame) for creating the SimpleScalar Tool Set, a popular collection of computer architecture performance analysis tools. Todd is co-author (with Andrew Tanenbaum) of the undergraduate computer architecture textbook, "Structured Computer Architecture, 6th Ed." In addition to his work in academia, Todd is founder and President of SimpleScalar LLC and co-founder of InTempo Design LLC. 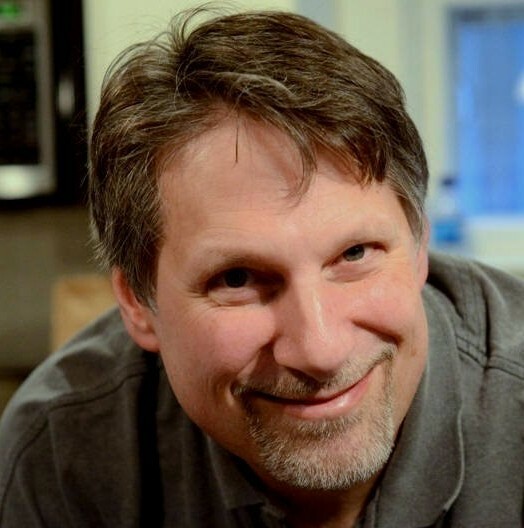 In 2002, Todd was a Sloan Research Fellow, and in 2007 he received the ACM Maurice Wilkes Award for "innovative contributions in Computer Architecture including the SimpleScalar Toolkit and the DIVA and Razor architectures." Todd received his PhD in Computer Science from the University of Wisconsin in 1996. We have been experiencing two very important developments in computing. On the one hand, a tremendous amount of resources have been invested into innovative applications such as first-principle based models, deep learning and cognitive computing. On the other hand, the industry has been taking a technological path where application performance and power efficiency vary by more than two orders of magnitude depending on their parallelism, heterogeneity, and locality. We envision a “perfect storm” is coming for future computing resulting from the fact that data movement has become the dominating factor for both power and performance of high-valued applications. It will be critical to match the compute throughput to the data access bandwidth and to locate the compute at where the data is. Much has been and continuously needs to be learned about of algorithms, languages, compilers and hardware architecture in this movement. What are the killer applications that may become the new diver for future technology development? How hard is it to program existing systems to address the date movement issues today? How will we program these systems in the future? How will innovations in memory devices present further opportunities and challenges in designing new systems? What is the impact on long-term software engineering cost on applications (and legacy applications in particular)? In this talk, I will present some lessons learned as we design the IBM-Illinois C3SR Erudite system inside this perfect storm. Wen-mei W. Hwu is a Professor and holds the Sanders-AMD Endowed Chair in the Department of Electrical and Computer Engineering, University of Illinois at Urbana-Champaign. He is also CTO of MulticoreWare Inc., chief scientist of UIUC Parallel Computing Institute and director of the IMPACT research group (www.crhc.uiuc.edu/Impact). He co-directs the IBM-Illinois Center for Cognitive Computing Systems Research (C3SR) and serves as one of the principal investigators of the NSF Blue Waters Petascale supercomputer. For his contributions, he received the ACM SigArch Maurice Wilkes Award, the ACM Grace Murray Hopper Award, the IEEE Computer Society Charles Babbage Award, the ISCA Influential Paper Award, the IEEE Computer Society B. R. Rau Award and the Distinguished Alumni Award in Computer Science of the University of California, Berkeley. He is a fellow of IEEE and ACM. 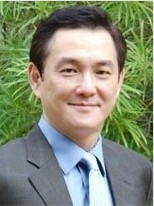 Dr. Hwu received his Ph.D. degree in Computer Science from the University of California, Berkeley.